Walking through the pits at the Cincy3 CX Festival a few years ago, I caught a glimpse of Mark Legg, aka Mr. Katie Compton, putting a teensy line of chain lube on the cleat contact points of Katie’s pedals. It’s a good way to keep you clipping in the first time-every time. I recall seeing Ryan Trebon pinning on his race number in the team van by pulling his skinsuit over his upper legs backwards to get the back of the jersey flat with the perfect amount of stretch. At another race, a rider showed me how he made his handlebars feel wider by slightly moving his hoods outboard a millimeter or two to allow for better control. 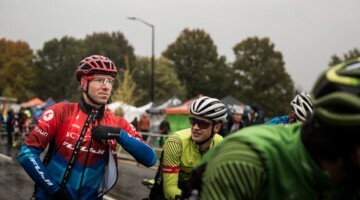 This weekend at the Jeremy Powers Cyclocross Clinic in Cincinnati presented by JBV and Fulcrum coaching vets and newbies alike learned more about cyclocross than I have in ten years and thousands of dollars in entry fees. A: The line of the Port-a-Poddy. D: Coming out of the last corner. 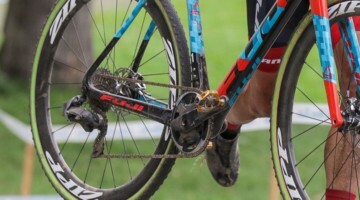 Becoming a better cyclocrosser is more than doing intervals, learning skills and technique and becoming a home mechanic. It’s also about being smart on the bike. US National Cyclocross Champion Jeremy Powers, Fulcrum Coaching’s Dan Tille and Rusty Williford, and Chris Mayhew and Eric Lundgren of JBV Coaching hosted the day-long clinic at Harbin Park on Sunday, September 2nd for a large group of riders who will race the OVCX series this fall. 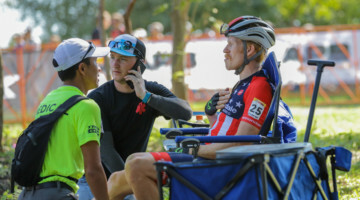 After mechanical assistance, fit and set-up advice, the clinic began with classroom instruction where riders learned some of the unseen intricacies of the sport like “shifting-ahead,” a technique where you anticipate what gear you’ll need on the exit of an obstacle and shift into that gear before the obstacle. Afterward the riders split into groups based on level of expertise and tacked dismount and remount drills and proper carry techniques. Beginners learned the basic step off. Intermediate and Advanced riders covered the correct technique for the step around and the step through. 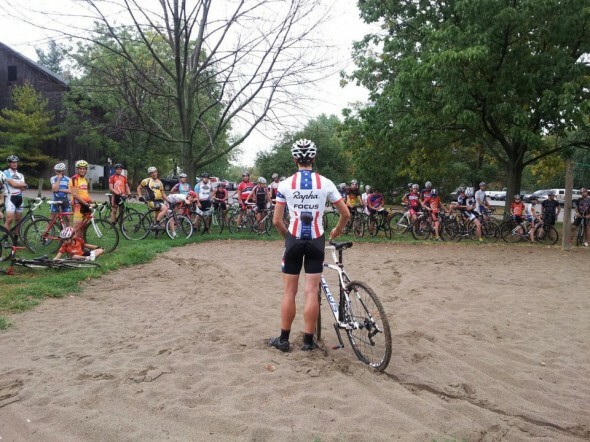 After a lunch discussion of tires, brakes and equipment, riders practiced barriers and starts then turned their attention to learning how to evaluate a cyclocross race course, ride off-camber, and handle bike exchanges. Then it was off to the mini races. 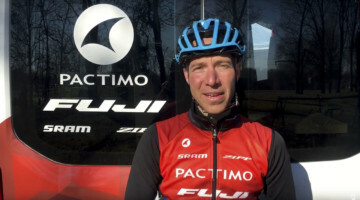 This weekend (9/5-9/7) the Jeremy Powers Cyclocross Clinic presented by JBV and Fulcrum Coaching heads to Washington D.C. for a two day camp and Tacchino Cyclocross, the opening race of the Super 8 Cyclocross Series. #1: Based on my experience, the rider leading out of the last corner usually wins the race or the sprint of the group they are with. Becoming that rider is something you can learn at the clinic.